Select/highlight the contact that you wish to edit. 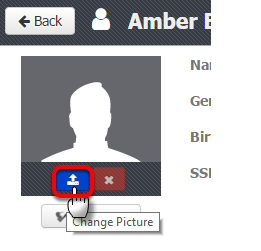 To add a profile picture to the contact, click the Change Picture icon as shown in the screenshot above. This will open a dialog box that will allow you to choose an image from your computer. *Note: This image is added only to the contact in your system. It will not modify the profile picture on the patient, person, or organizations personal account. *Note: The edited contact information is added only to the contact in your system. 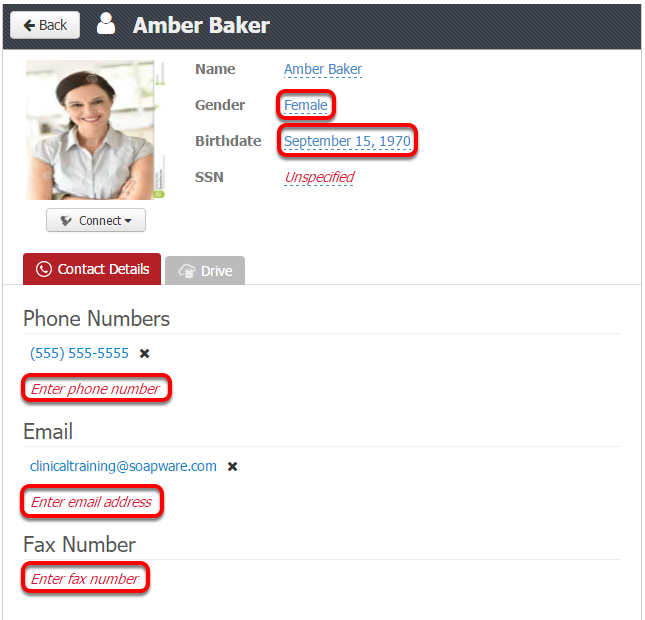 It will not modify the contact information on the patient, person, or organizations account.